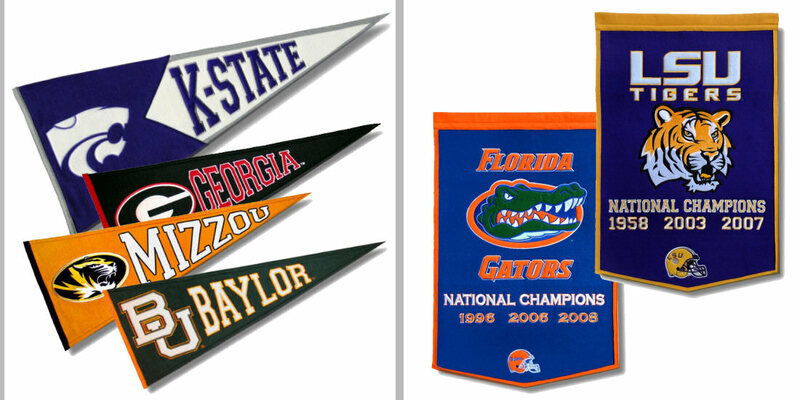 Our NCAA Pennants and Banners above are constructed of thick wool blends and feature high-quality embroidered logos, insignias, and lettering. All of our wool items are Officially Licensed by the NCAA and selected University which insures quality, authentic logos, and each can be viewed as a collectible. 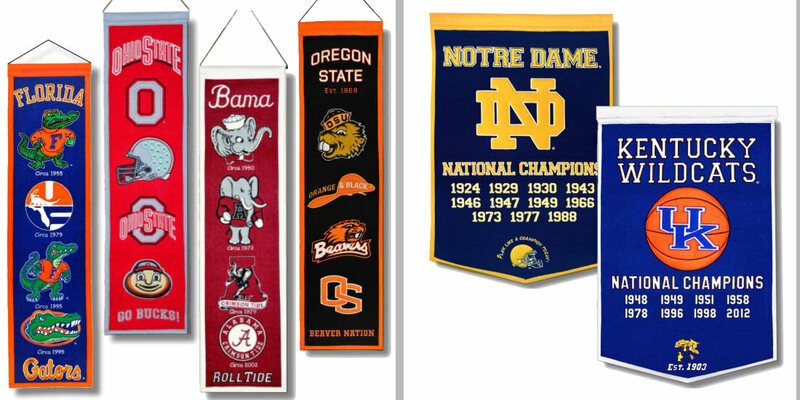 Use our Pennant Frames to display these quality NCAA Pennants, Heritage, or Dynasty Banners in your sports room, kids room, or any room in your home or office. For an economical felt pennant, view our 12"x30" felt pennants at College Pennants or browse NCAA Conference College Pennant Sets. College Pennant Sets include Big Ten, Big 12, SEC, ACC, PAC 12, Big East, Mountain West, HBCU, CUSA, Armed Forces, Ivy League, and a growing list of College Conferences.